We are so pleased with our new closets! Paul was wonderful to work with and did an excellent job in the design and craftsmanship. He really took time to understand how we needed our closets setup so that we could stay organized. The product and design are perfect and we love all the extra features. All of our closets function perfectly for our daily lives and make it so easy to find things. 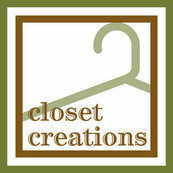 We couldn't be happier and highly recommend Closet Creations.